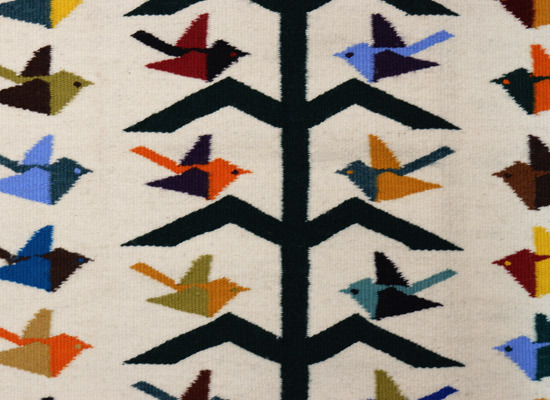 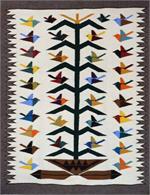 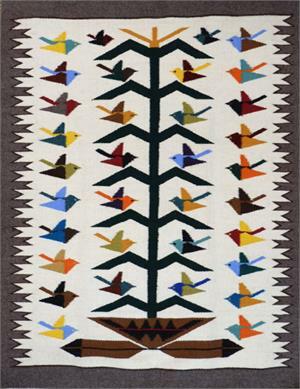 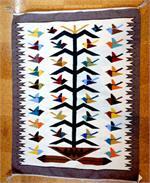 Tree of Life rugs were first seen in the early 1900s. 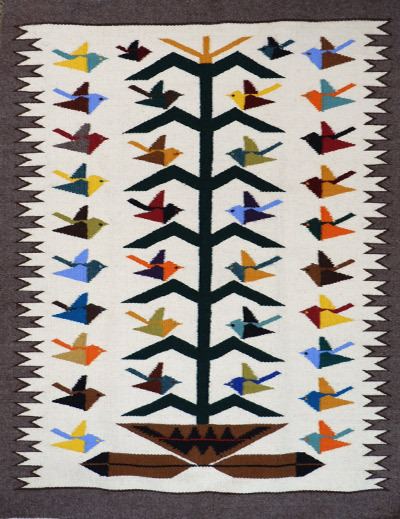 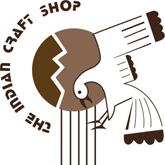 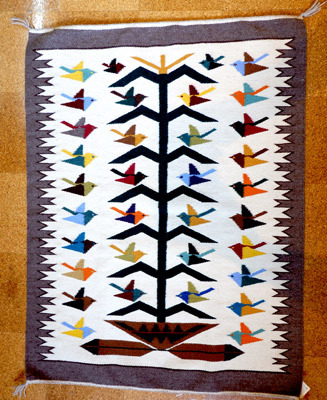 They depict the tree as a corn stalk, as corn is an important staple for the Navajo, and corn meal has an important role in many Navajo ceremonies. 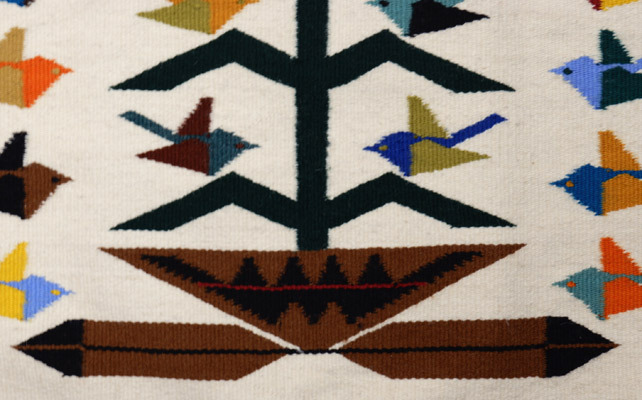 It is shown growing out of a ceremonial basket, and is surrounded by birds of many different colors.